The runes you must find ... Which the mighty sage stained and the powerful gods made and the runemaster of the gods carved out. (The Poetic Edda, translated by C. Larrington) The runes are mysterious and powerful magical keys to the primal forces of nature that shaped Norse and Northern European culture. These twenty-four unique and inspiring symbols of the Elder Futhark (first runic alphabet) each possess powerful energies, identities, meanings, and sounds. The runes are invoked and harnessed to create change through inspiration, healing, protection, knowledge and divine wisdom from the Norse gods. 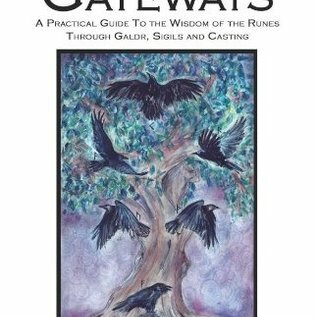 Odin's Gateways is a practical guide to using the runes in our lives, in magic and in divination - a unique journey into the mysteries hidden within the runes, filled with the information and practices necessary to developing a deep personal understanding and relationship with them. By focusing on how to directly harness and channel the energy of the individual runes, the author guides the reader along the path to self knowledge and empowerment. With a deft hand and lucid style, Katie Gerrard cuts to the heart of the runes, combining the wisdom of the Norse Sagas and Rune Poems with practical advice and techniques gained through living and experiencing their powers. 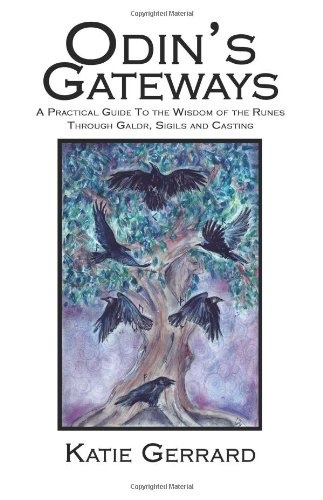 The divinatory meanings of the runes are given, with a range of different reading methods, bindrunes are explained in detail, with numerous examples presented ready for use; galdr (incantation) and spellcraft, charms and talismans are all seamlessly explored and made accessible in this fluid, concise and practical guide.